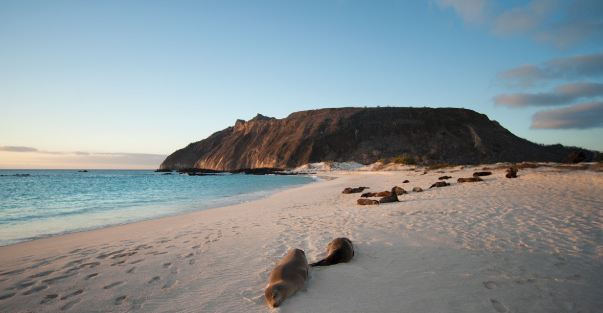 The Galapagos Islands is a place where the coexistence between animals and humans is very special. Animals openly show us their way of life. There is no place in the world where animals feel so comfortable in our company. And that is due to the great respect that all the visitors of the Galapagos Islands have towards them. You must keep a distance of 2 meters at all times with the animals. When we come around some species, such as turtles, sometimes an overwhelming desire to touch them run through our body, but we must contain ourselves. We must approach them progressively and showing that we do not have an offensive attitude. This is how we have earned the trust of the animals for years, and it is important to maintain it. Thanks to this, in the Galapagos Islands we can get closer to birds species such as the Blue Footes Boobies at a distance that you could not do it anywhere. Animals are used to their diet based on the rich local vegetation. That is why it is important not only that we do not give them any food, but we must also be careful if we want to travel with certain products. Vegetation can also be affected by invasive plants that reduce local vegetation, which is the main sustenance of local animal species. When you are preparing your suitcase, do not forget to check that you do not have any of the restricted products. Everything is so unique in the Galapagos Islands that sometimes we want anything that remember us that moment for our hole lives. Shells, small stones, are tiny elements that seem to have no importance in the place where you find them. But they have it, and a lot. Take your camera and take a thousand memories in your camera, but not in your pocket. You will be accompanied by a naturist guide in most of your exploring routes, who will explain everything about the area you visit. In the terrestrial routes all the trails have been posted by the Natural Park of Galápagos, and it is very important to respect them. Animals need their space, and mark their territory. We must respect it so that no species feels threatened. You won´t have any problem going on your own in the areas allowed for it, but follow any indication from the Galapagos National Park that you find. Flash light frightens all species, and when animals are frightened they are unpredictable. We should not disturb their daily life, so before you click, check that you have deactivated the flash. You can visit the islandS as a backpacker and camp in the Galapagos Islands, but you must inform the Galapagos National Park requesting for authorization. There are specific areas in Isabela, San Cristobal and Santa Cruz where you can camp. In the smaller islands you can not do it, to preserve the ecosystem. Even in authorized areas, you must be very careful. Many of them are paradisiacal beaches like Tortuga Bay, where despite being allowed, we must be very respectful with the environment. When we leave, we must leave everything as we found it, to avoid that the curious sea lions that frequent it may suffer some damage. Rent a bicycle is a great option, since it allows you to enjoy many routes much faster and comfortably. The paths marked by the Natural Park of Galápagos indicate the paths you can follow. Many of them lead to magnificent beaches where you can enjoy sea lions and iguanas. You can sit quietly on the beach, and enjoy the experience, but leave the bike at the end of the road just before entering the beach. As of this year, the Galápagos Natural Park has proposed that the Galapagos Islands be a space free of all kinds of plastic products. Even the plastic straws with which we have a drink have been replaced by metal ones. Everyone when we travel we take things wrapped in plastic, and you can do it, but remember that just as you brought it you must take it back with you when you finish your trip. 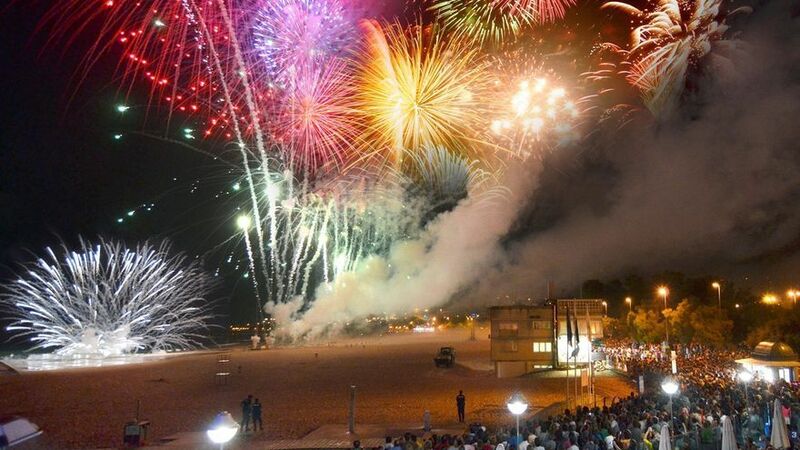 If you visit us during the time we celebrate our local festivities, you will see that there is no fireworks during the event. We decided to stop doing it because we appreciate that the animal species were upset by the noise they generate. It compensates us to deprive ourselves of seeing the fires being able to enjoy the happiness of our sea lions.